Newhaven, UK — 12th November 2018 APG Cash Drawer, a fast-growing global manufacturer of cash management solutions, announced today its new partnership with MSP Systems, a leading EPOS technology provider for the convenience sector in the UK. MSP is now offering the SMARTtill Cash Management Solution as part of their integrated EPOS solution to their customers for smart retailing. This partnership aims to provide small retailers the latest POS technologies to enhance cash handling efficiency in the convenience sector. The owner of the family-run independent Spar store in Tunbridge Wells was keen to implement innovative retail technologies to the brand-new store to allow him to run his business efficiently, prevent cash loss and win loyal customers by offering a frictionless sales experience. In addition to APG’s SMARTtill Solution, the new branch features Nebula software, digital signage, electronic labelling and a tobacco dispensing system. 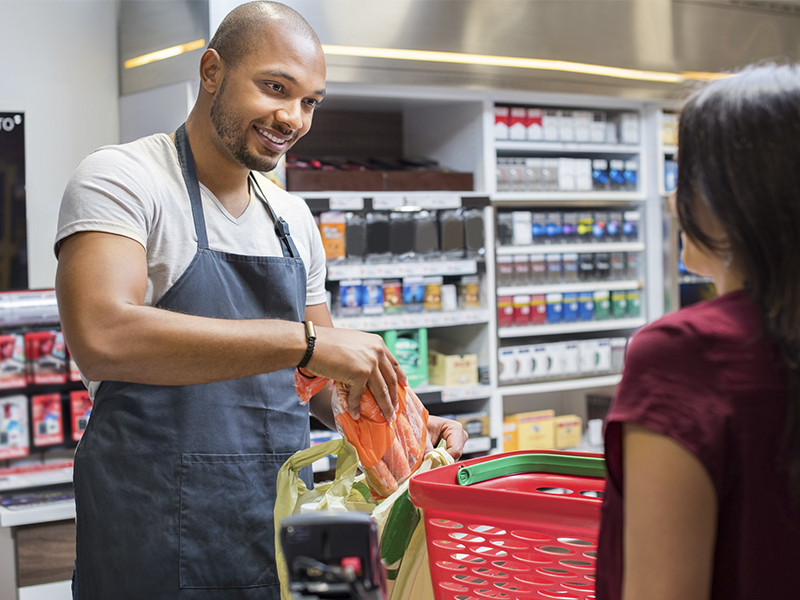 APG and MSP have plans for further collaborations, providing complete, modern retail solutions that offer the convenience store sector the opportunity to futureproof their business through affordable innovation. About APG Cash Drawer, LLC – APG Cash Drawer, with over 40 years of experience, manufactures a wide range of highly durable and reliable cash drawers that are delivered quickly to the marketplace. APG has built a reputation as the supplier of choice for cash management solutions for retail, grocery, hospitality, and quick serve for thousands of customers throughout the world. Whether it’s our general application cash drawer, custom designed solutions, or the SMARTtill Cash Management Solution, our products and brand are differentiated by our ability to deliver innovative technologies that globally enhance efficiency and security at the point of sale. To learn more about our products, visit http://www.cashdrawer.com/europe or call +44 1273 616300. Follow us on Twitter at @apgcashdrawer and on Facebook. MSP Systems Ltd was founded in 2005. It is part of the MSP Group that was founded by Romesh Perera, and has been trading in the UK Retail sector since 1997. The Group has won several highly prestigious retail awards throughout the years. Romesh been a very successful retailer with several retail outlets and many years of experience behind him recognized the need for a Retail system that put the retailer first. Romesh with this retail experience coupled with computer knowledge provided the platform to design an EPOS and Stock Control System with the Retailer as the main consideration. To learn more about MSP Systems visit http://mspsystems.co.uk/. This press release was distributed by ResponseSource Press Release Wire on behalf of APG in the following categories: Consumer Technology, Food & Drink, Retail & Fashion, for more information visit https://pressreleasewire.responsesource.com/about.